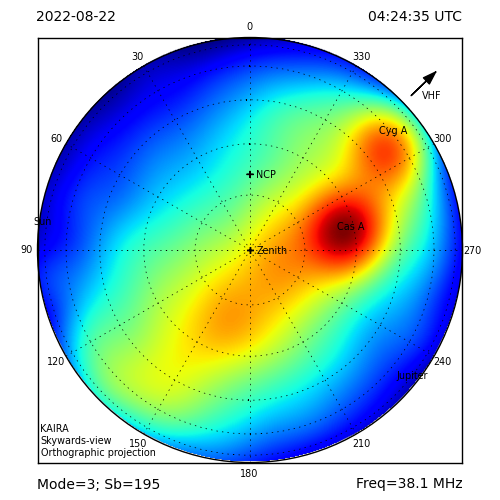 There are three large radio telescope facilities in Finland: Metsähovi, Sodankylä and KAIRA. To give an indication of the physical sizes of these systems, we've drawn them to scale in the following diagram, and have listed the physical sizes of the arrays in metres. Both Metsähovi and Sodankylä are steerable parabolic dishes. 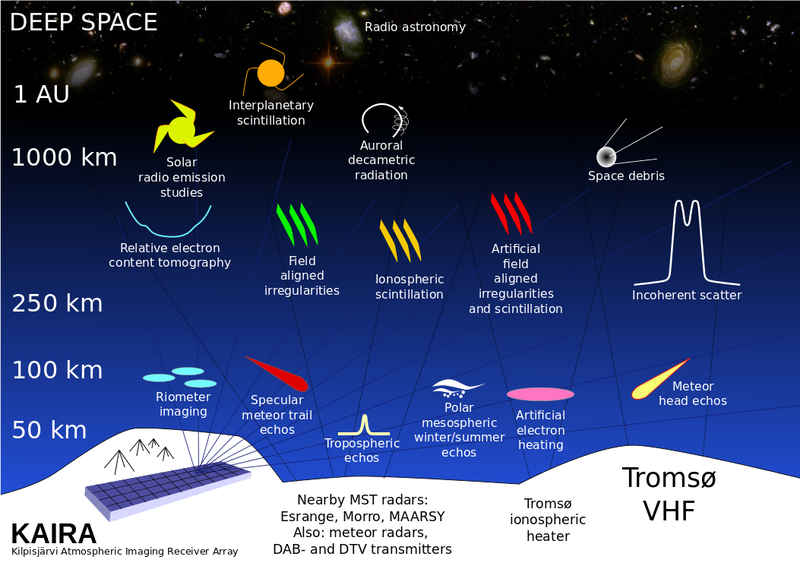 And KAIRA, as regular readers will know, is a twin phased-array system. 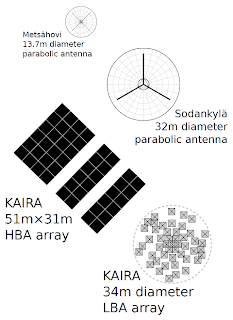 Because the High-Band Antenna (HBA) array at KAIRA operates at different frequencies to the Low-Band Antenna (LBA) array, you cannot count them together for the purposes of a size comparison. They can, however, still operate together (for example, using the Mode-357) -- albeit with reduced sensitivity.